Scott Covert is an artist on a transcendent, death-defying, quest. For the last 25 years, his life has been a never-ending, headlong pursuit of the beautiful and damned, beauties and the beasts, the good, the bad and the ugly, the powerful and glorious, the naked and the dead. On his creative pilgrimage he has travelled all over the United States and Europe, paying visits to a luminous pantheon of cultural icons: movie stars, explorers, politicians, artists, heroes, villains, architects, murderers, murder victims, singers, athletes, novelists, inventors, rock stars, poets. Scott's odyssey gains in grandeur and poignancy once you know that his hosts were dead and residing in their graves when the artist came to call. It is unlikely anyone has visited as many cemeteries as Scott: certainly no one has returned with such treasures from the necropolis. Cemeteries serve as adjunct studios for the painter who arrives with a sheaf of canvases, which the dead help bring to life-and vice-versa. 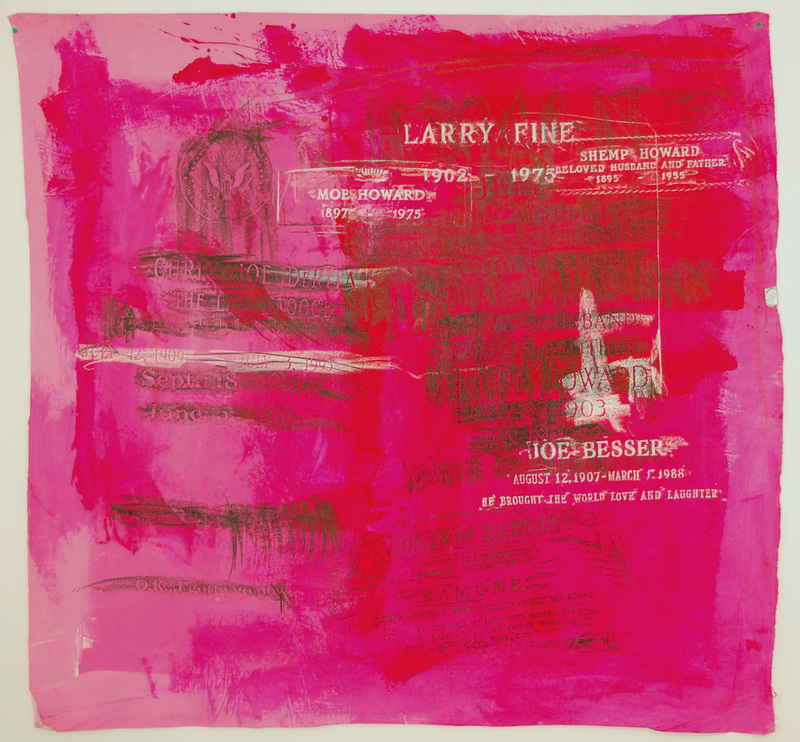 Once in his outdoor studio, the artist sets to work, prepping the fabric, placing it over the gravestones, and, using an oil or wax crayon, impulsively adorning the canvas with his subjects' engraved in memoria. In piquant counterpoint to the 80s graffiti art practiced by his friends Jean-Michel Basquiat and Keith Haring, the artist does not leave a mark behind, but rather leaves with it. Each brushstroke is a life, as Scott says. 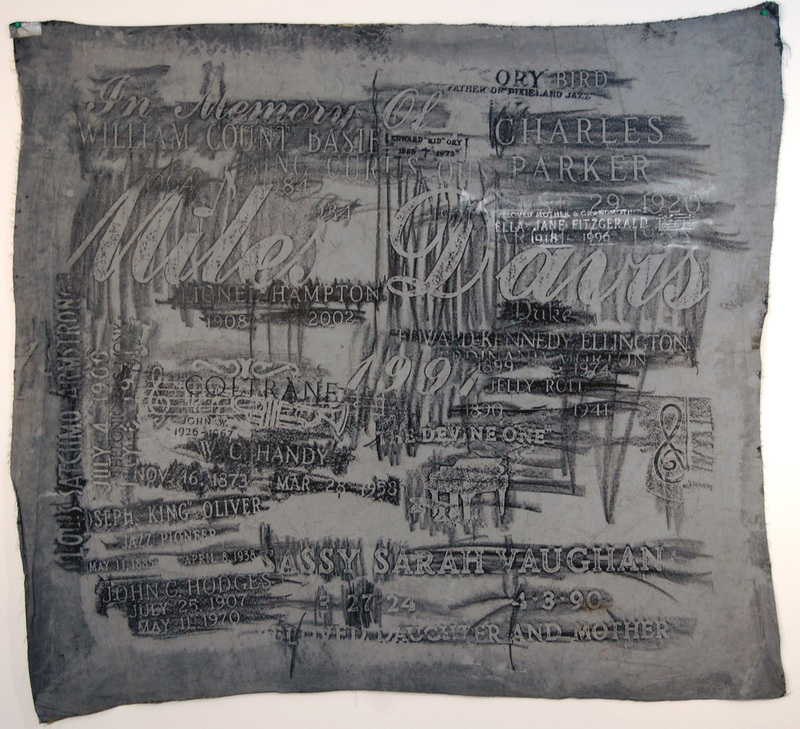 At times, one subject's inscription will be repeated on a single canvas; other times, an inscription will be placed on a canvas in an impulsive collage of diverse personalities' names, in varied colors and textures, producing a palimpsest for the viewer to explore and decipher. Scott's aesthetic choices convey the impulsive immediacy, directness and impact of Abstract Expressionism. As the gallerist Patrick Fox observes, Scott is the first artist to conjoin the prima materia of Pop Art-celebrity, notoriety and glamour-with the subterranean, unconscious rumblings of Abstract Expressionism. As the singer Patti Smith reminds us, "We are all Pollock's children." And we might add, Andy's. 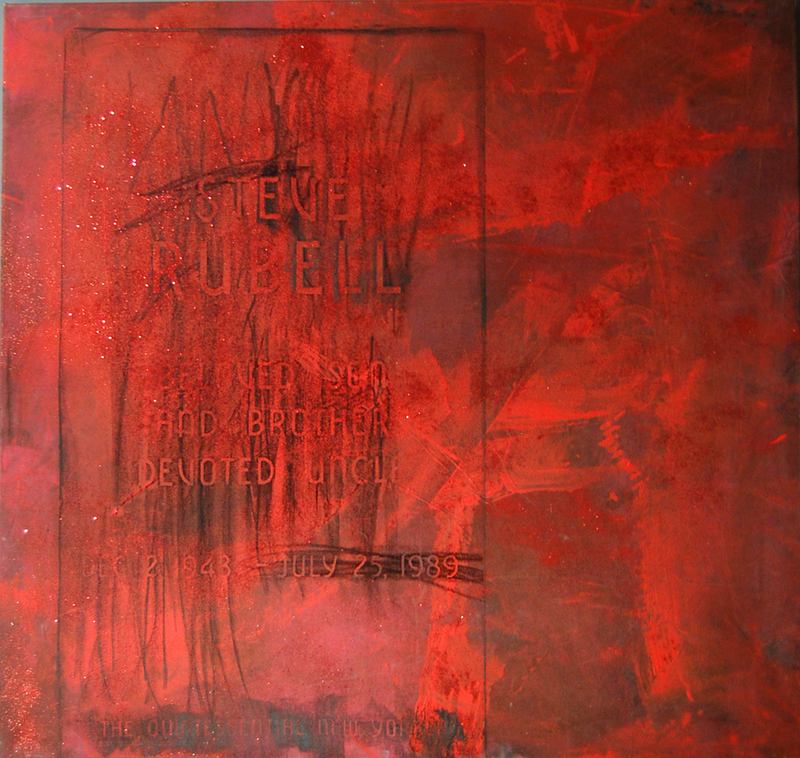 Through his singular process and uncanny work, Scott engages in a kind of ontological alchemy. The grave no longer marks the end, but the beginning of a new journey for his starry subjects. In the enchanted realm of Scott's paintings, the dead come to glorious life, galvanized into celestial dancing partners with others from the necropolitan galaxy-Dancing with the Stars, you might say. Scott's first grave rubbing was of Florence Ballard (1943-1976), one of the original Supremes of Motown legend, who received Scott at her resting place at Detroit Memorial Park Cemetery in Warren, Michigan. Ever since, Scott has identified his school as "The Dead Supreme." When Cookie Mueller, the art critic, muse and downtown doyenne, saw the resulting artwork, she convinced Scott that he had found his métier. Rene Ricard, the art world avatar, gave Scott another piece of advice: "A painting should be a beautiful, entertaining thing to put on the wall." "My work has nothing to do with death," Scott is quick to remind us. "It's not morbid: it's a celebration of life." He adds, "I'm not about looking back, or even looking forward. I don't have time for that. I'm all about right now." And right now just happens to be the very moment we encounter Scott's paintings.